Our scrub tops are each custom made in a fabric of your choice with options to alter the top length and add embroidery of names and logos. 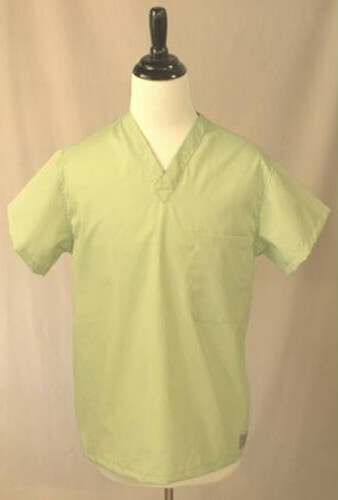 We offer our scrubs in two types of fabric, a lightweight poplin and a heavyweight twill. The lightweight poplin is the traditional scrub fabric and is 65% polyester / 35% cotton. The heavyweight twill is 65% polyester / 35% cotton, but is a much heavier fabric.